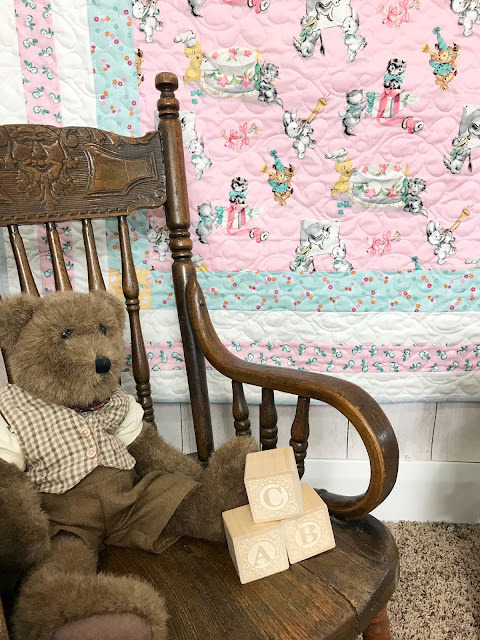 I am so excited about this new quilt I am sharing today! This quilt features the most darling fabric! It is called Perfect Party and it is full of the cutest vintage animal motifs and florals. 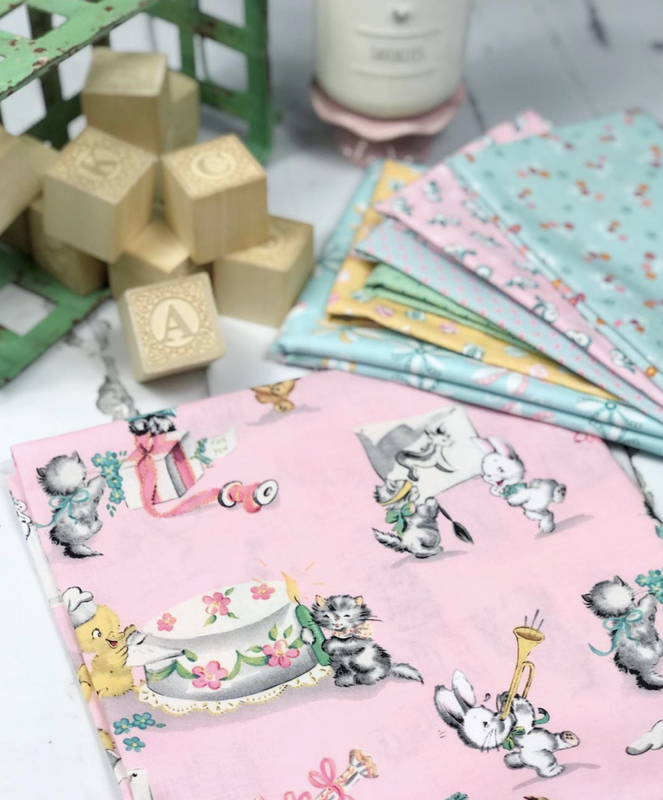 This charming collection is called Perfect Party by The Cottage Mama for Riley Blake Designs. I wanted to showcase the main print in the collection, so I designed an all new pattern just for this fabric. The quilt comes together so quickly, you could definitely make it in just a few hours! The quilt is assembled by adding borders to your main fabric print. Very little piecing goes into this quilt, so it is a nice beginner friendly pattern. 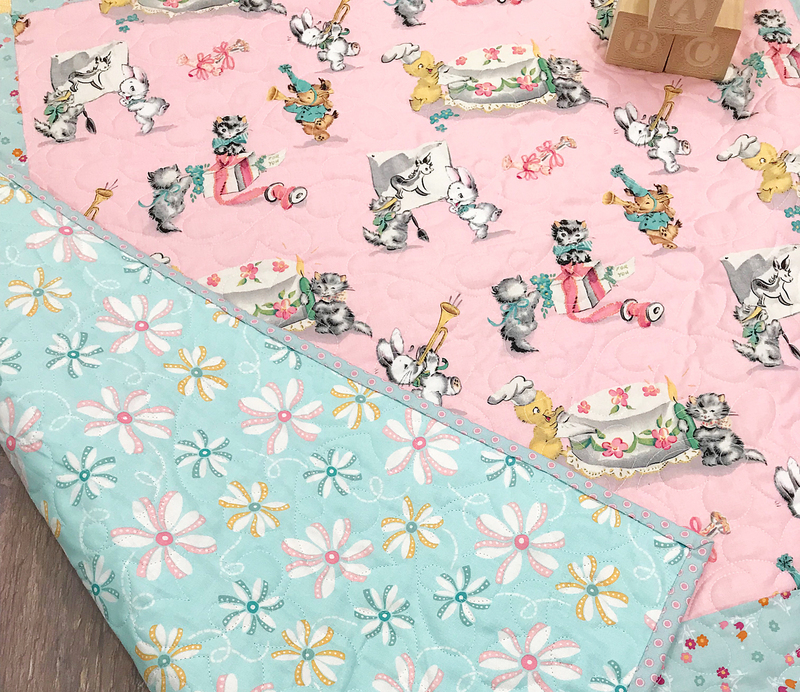 I backed my quilt with this large floral and it is just the cutest! All the prints in this collection have a vintage vibe and I absolutely love that! For the quilting, I did a simple flower motif, that matched the florals on the fabric. I really love how it complements the quilt. 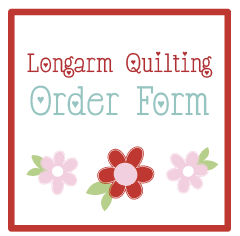 Let me show you how to make one of your own! That's it! The great thing about this pattern, is that you can easily do this in a boy version as well! I hope you enjoyed this tutorial! 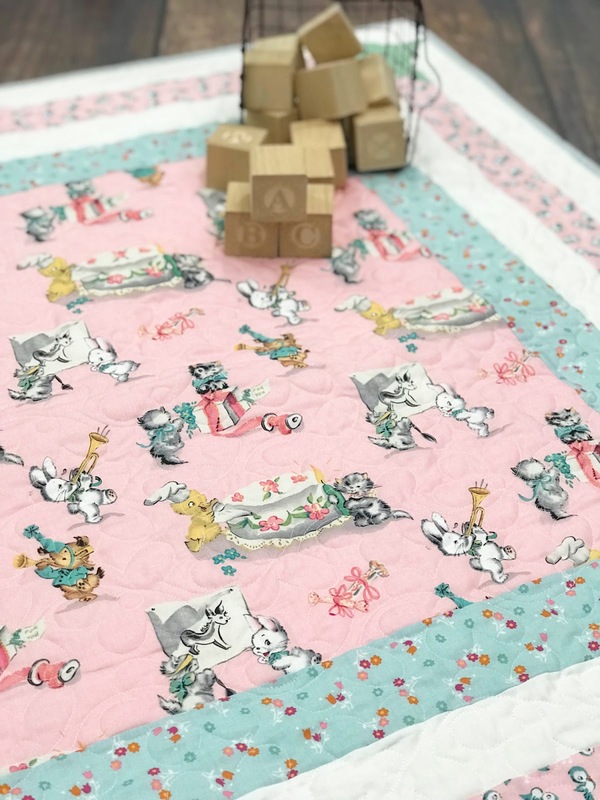 Be sure to follow Riley Blake on Instagram for more projects featuring Perfect Party! 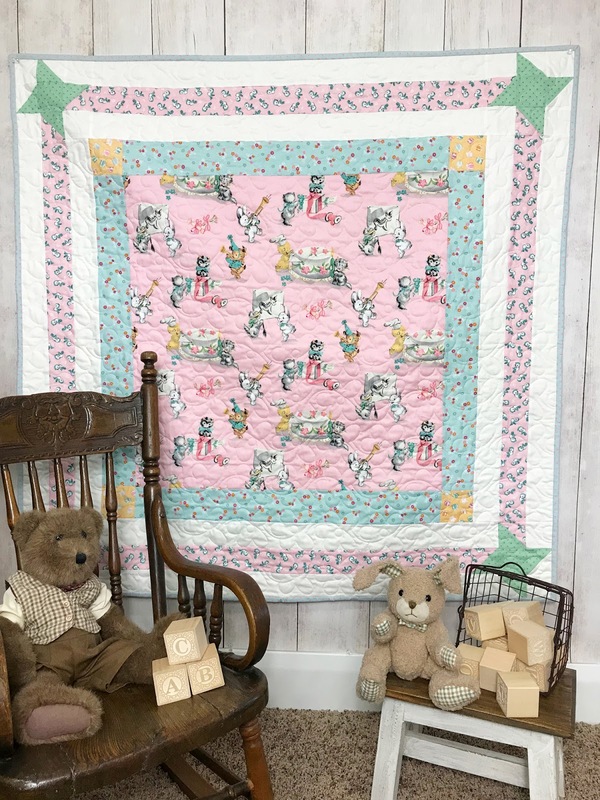 Cute quilt, thanks for the tutorial !